Some things in life are synonymous with each other, like AFC Ajax producing talented young footballers, or American TV companies making super addictive shows. For the city of Leeds it is being home to an endless amount of heavy music. Bread And Honey clocks in at just under 11 minutes long and over 3 tracks it is a gut busting affair with pummelling guitars, relentless drums topped off with a no nonsense vocal delivery. The only thing that seems to be on the minds of Irk with this EP is to melt your face off with heavy music, and boy do they do it well. There isn’t an ounce of pretence anywhere, just straight up, honest music. 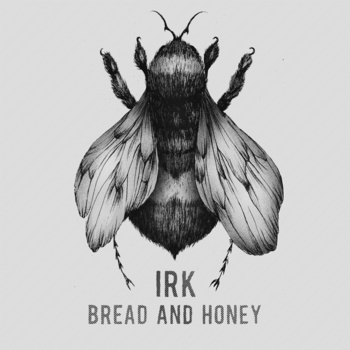 Bread And Honey wears its influences on its sleeve yet still creates something unique in its own right, on top of this, it knows exactly what it wants to do. If it’s blisteringly loud music you want, then this EP is definitely right for you. Posted in rantTagged Blacklisters, Cleft, Irk, Leeds, Loud, Math rock, Noise rock, Northern Music, YorkshireBookmark the permalink.